Do you know anyone that wouldn’t want 14 days of gifts? I don’t! 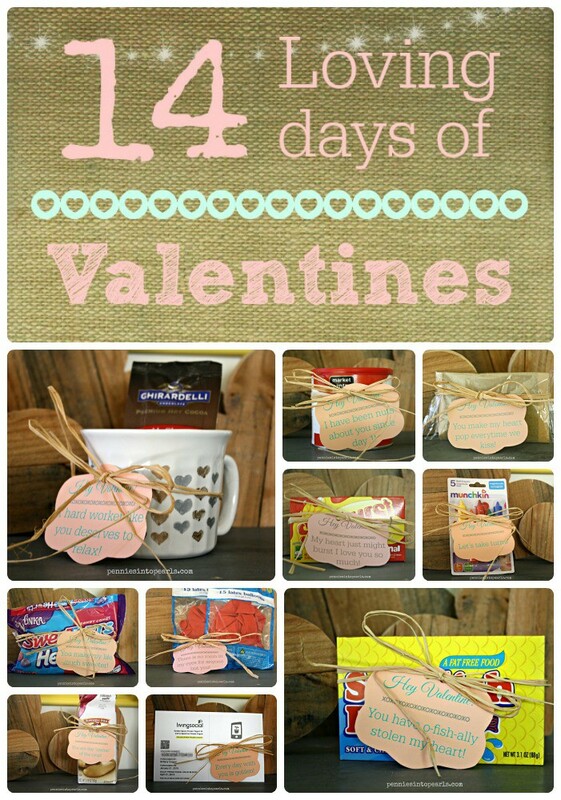 I have always wanted to make Valentines Day a little extra special for my hubby, maybe extend the holiday a little. This is the year! I decided to pull together 14 different small acts or gifts to show him that I love him. 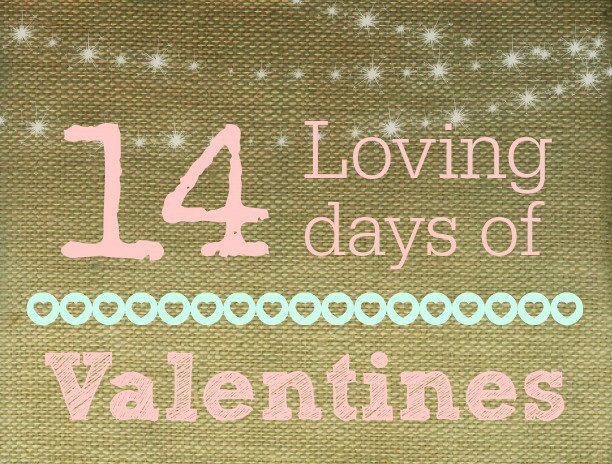 Starting on February 1st he will get one simple gift that I will surprise him with until Valentines day on the 14th. I tried to stay away from only using food items, which can be really hard for someone such as myself who has such a deep love for all things sweet! That didn’t happen! But I did manage to pick a couple great ideas to mix it up a bit. Now is the time to be a little sneaky! One of the fun things about this 14 day Valentines marathon is deciding on spots to leave the gifts without him knowing! Our schedules are a little off the norm, so this can be extra tricky in our home. But I accept the challenge! I love that as I have been getting these little Valentines gifts ready for my hubby, I start to think about the days when we were dating! “Back in those days” I would make that special effort to go out of my way to let him know how much I cared for him without the reminder to do so from a holiday. This Valentines has been a reminder and a motivator for me to do things like this throughout the year! I hope that you will get just as excited about this project as I am! 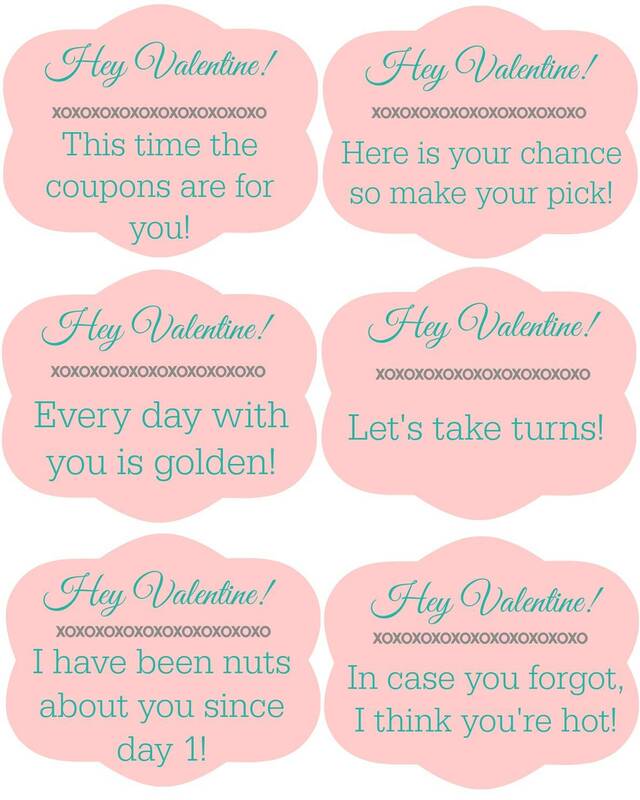 All you have to do is print these tags off and tie them to their gifts with some cute ribbon and you are ready to impress your man! 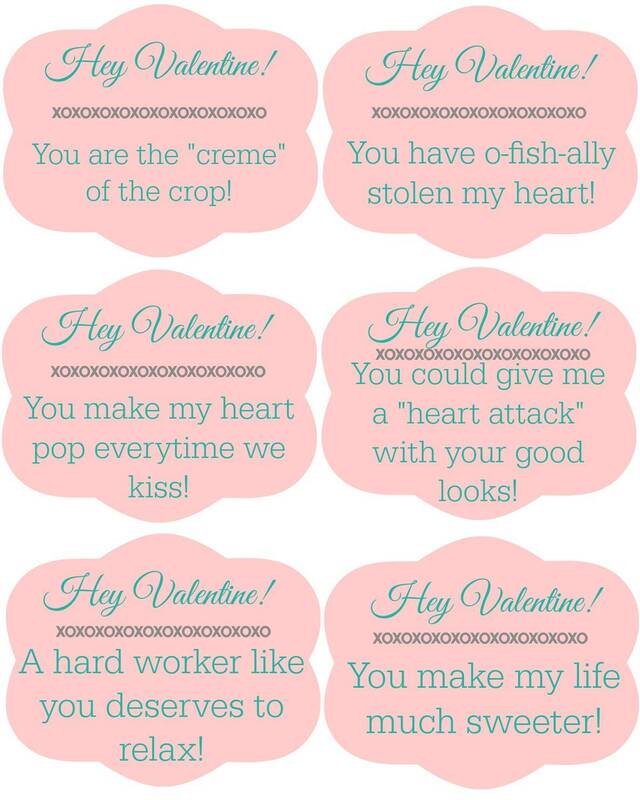 I hope you have a bunch of fun getting these together and surprising your Valentine! To download each page just click on the link above each picture. Get Your Shine On Link Party – It’s All About Fun! Such great ideas! I love, love, love this! 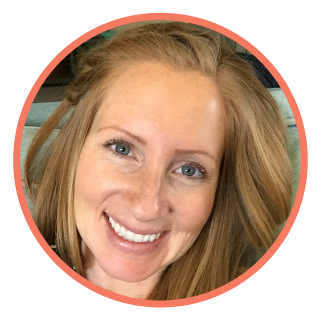 Thanks for linking this up this week at Merry Monday’s! Thanks Misty and thanks for the party!